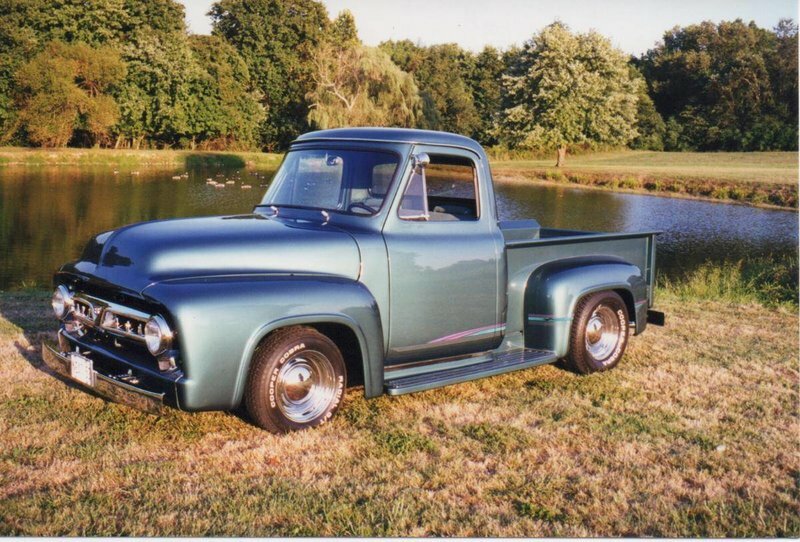 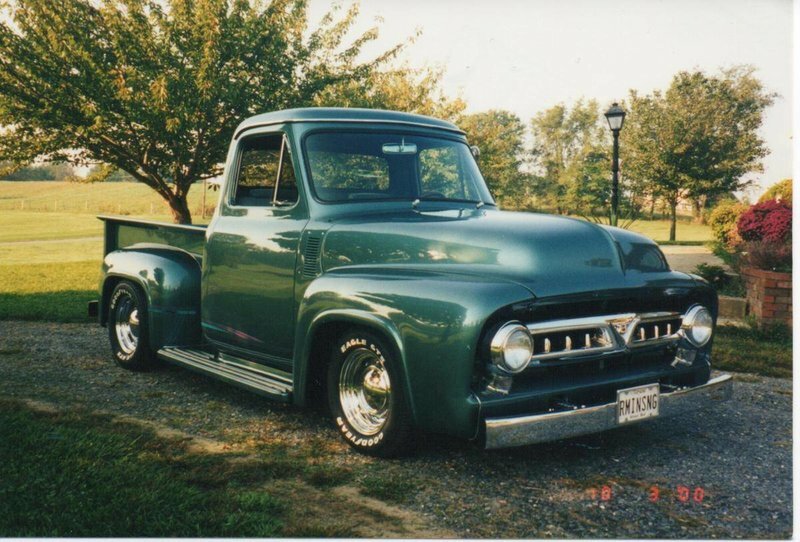 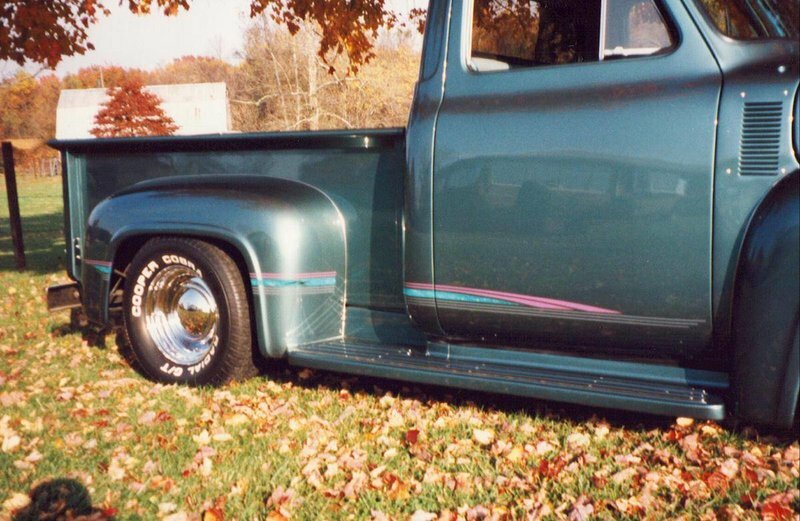 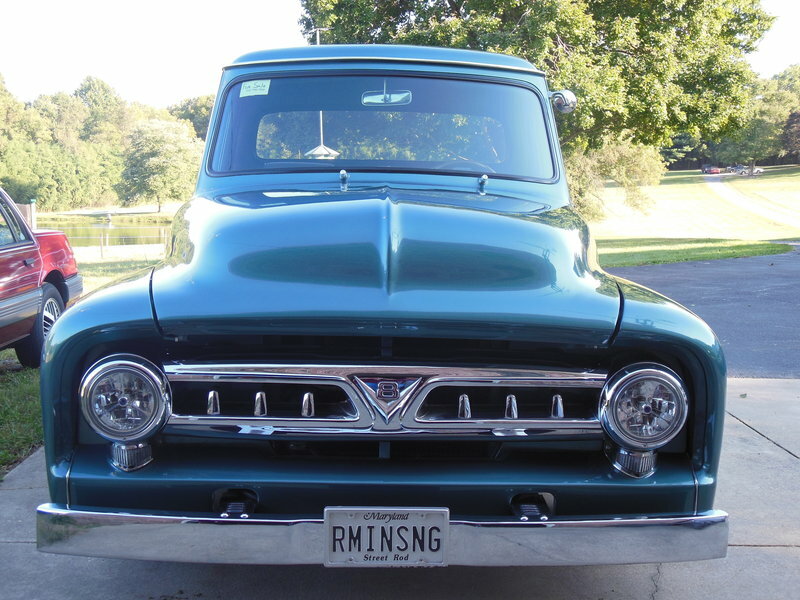 Often regarded as the most sought after of Ford pickups, this 1953 F 100 has been with the same owner since 1994. 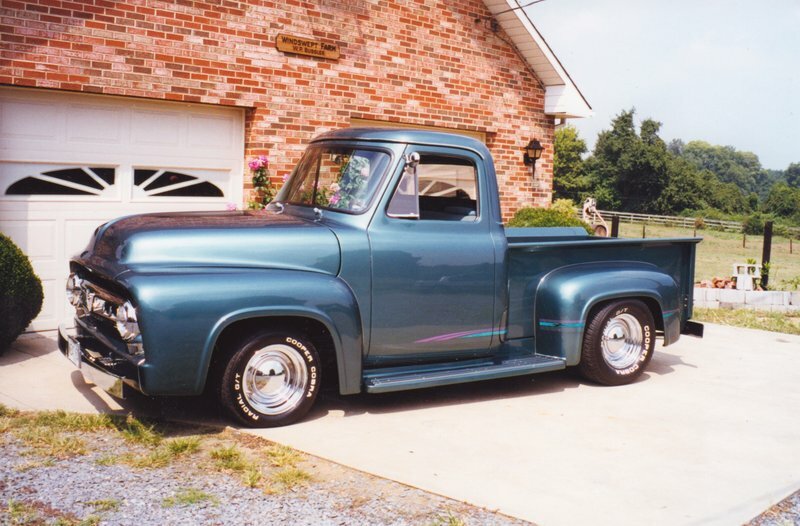 No shortcuts were taken during the extensive and complete frame off restoration and customization process to make this street rod the best example on the road. 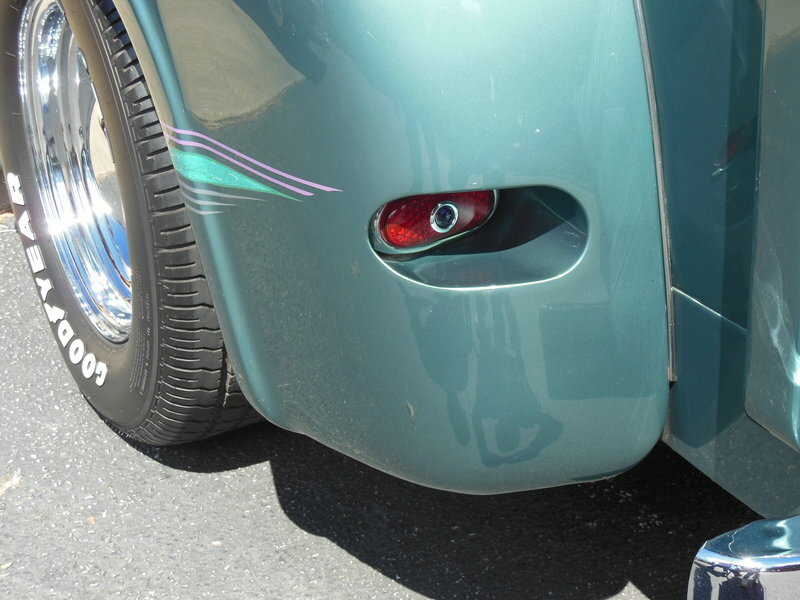 It is the recipient of many awards at major events including the prestigious annual World of Wheels premier custom car show. 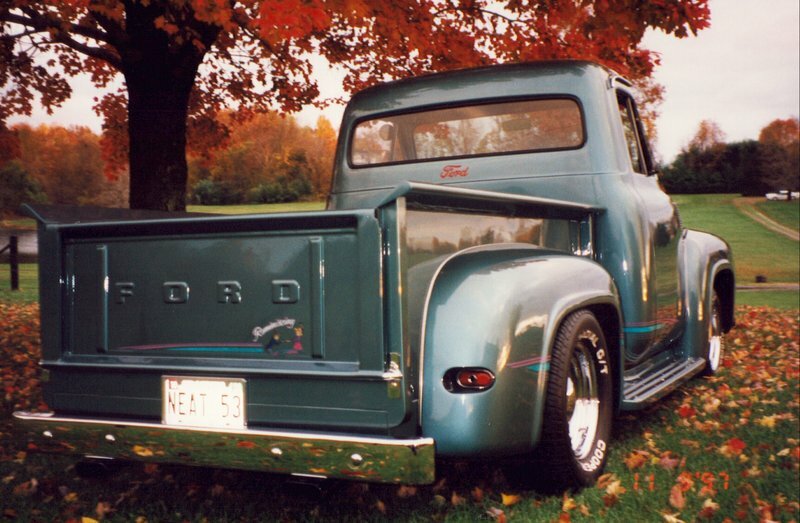 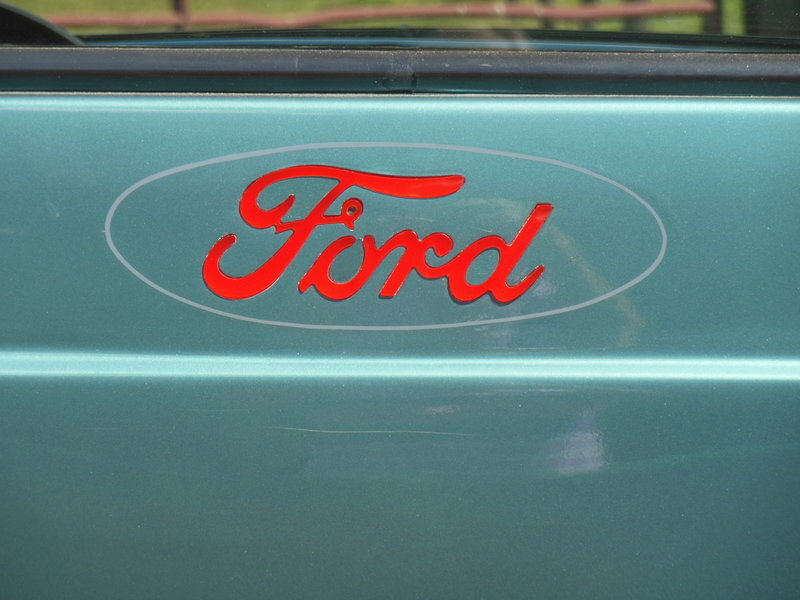 The already clean styling lines were enhanced with shaved hood and door handles, a contoured gas filler door molded into the body corner, and a safety correct third tail lamp laser cut into the body in classic Ford script lettering. 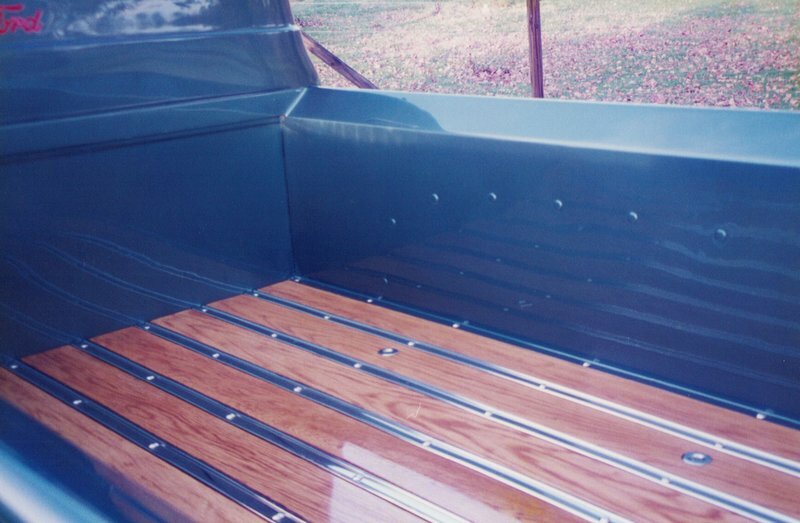 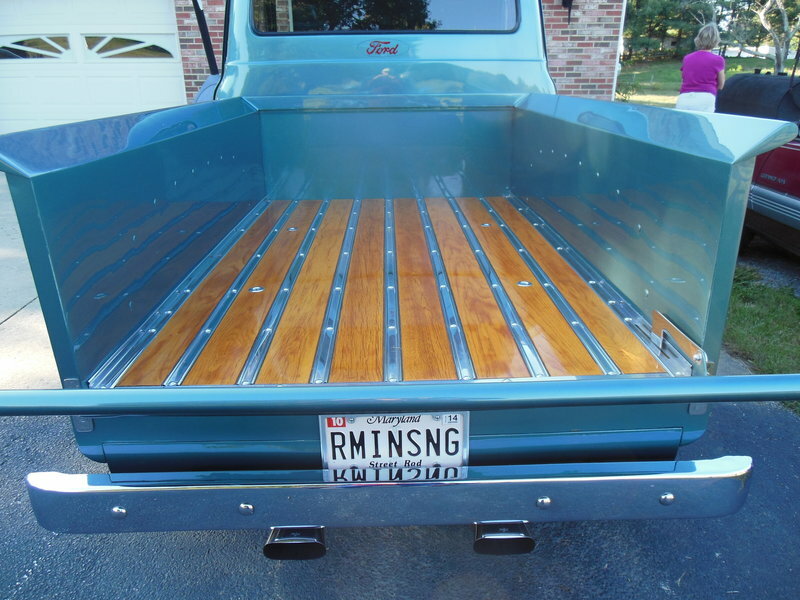 Other styling features include frenched 1946 Ford tail lamps, rolled pan, frenched power antenna, automatic door openers, filled bed rails, capped bed ends, stainless steel ribbed running boards, and polished oak wood bed with stainless steel ribs. 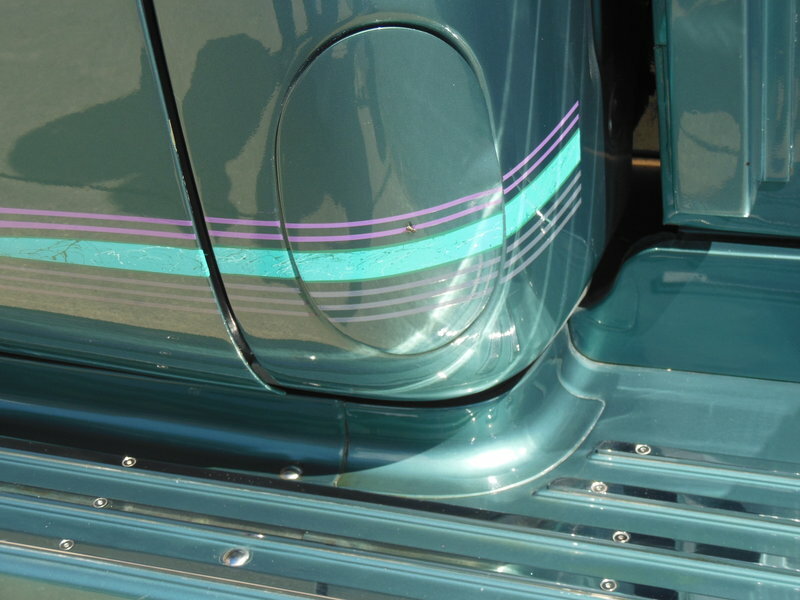 Additional body treatment enhancements include media blasted and boxed frame finished with etching primer then base coat and clear coat, stainless steel brake lines, full stainless steel exhaust system, chrome grille and bumpers, reverse operating hood hinge assembly, and electric tailgate. 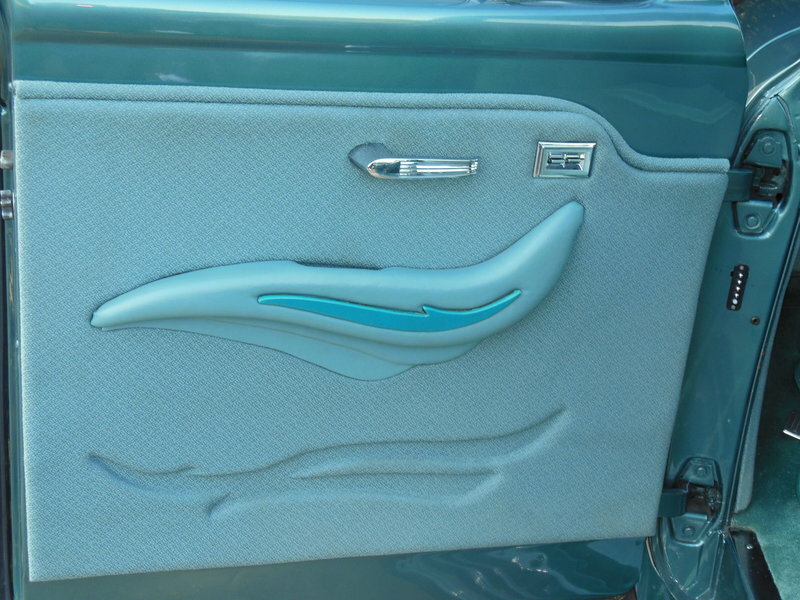 The unique teal green body color was achieved using PPG custom acrylic urethane topped off with a mild treatment of body side trick graphics. 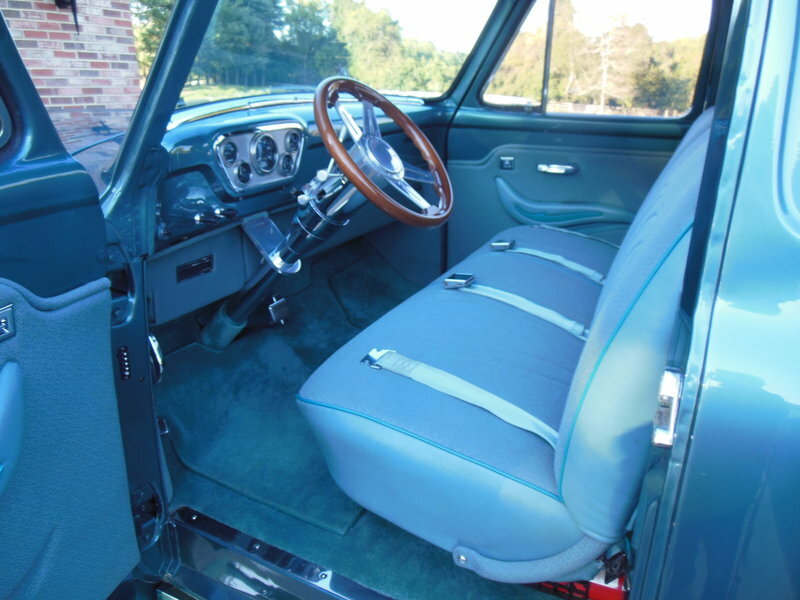 Interior creature comforts include sculptured door panels with custom designed arm rests and power window controls, custom dash panel with Sun Pro gauges, a custom overhead console with Panasonic stereo system, Ididit chrome tilt steering column with a Lecarra custom steering wheel, and a Vintage air and heat system. 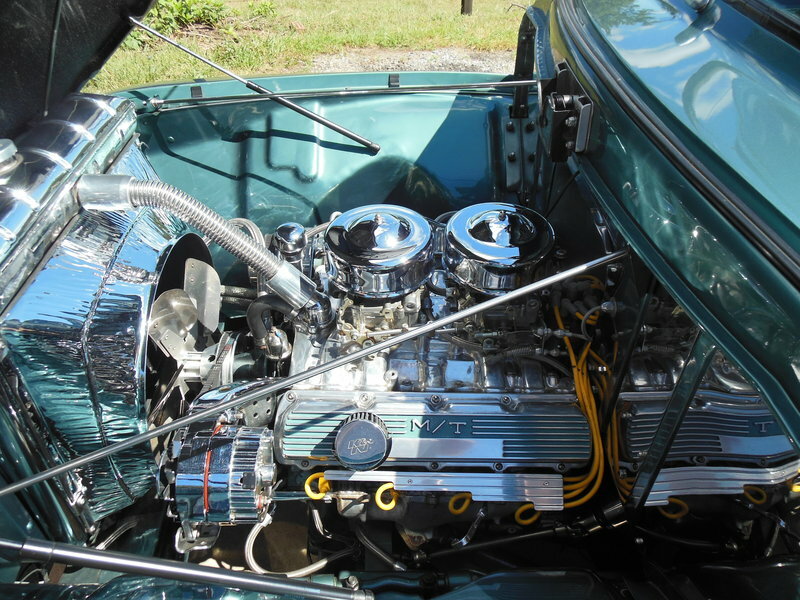 Underneath all the beauty and comfort this custom ride is powered by a 455 cu in. 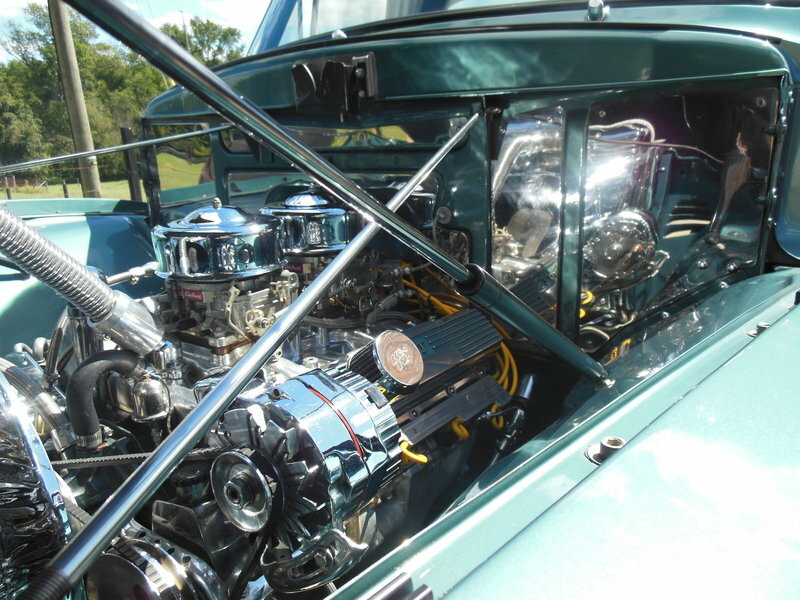 Olds engine sporting twin 500 cfm Edelbrock carbs and complete Engle-Mondello valve train. 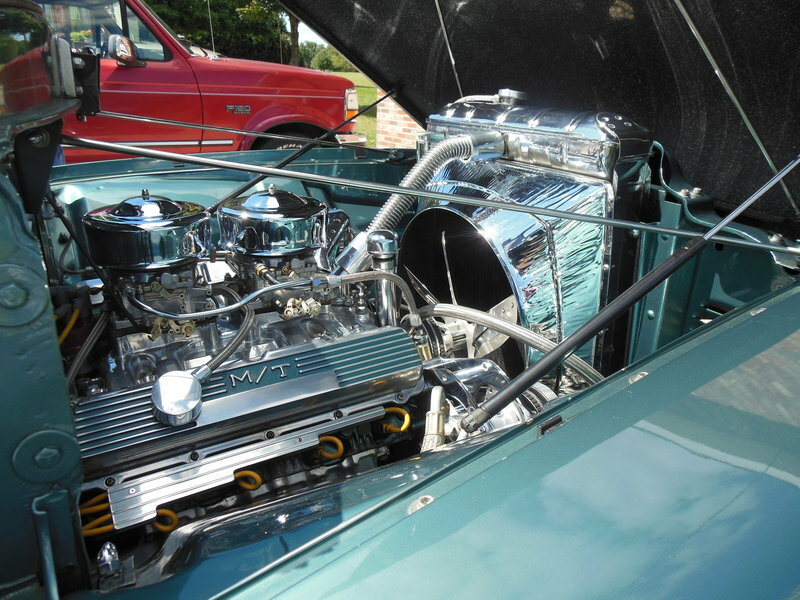 This powerhouse was bored to .030 over and features milled heads, TRW 9.3 to 1 pistons, Engle-Mondello cam, a polished Edelbrock Performer Intake, electronic ignition, and lavishly covered with the latest chrome dress up accessories. 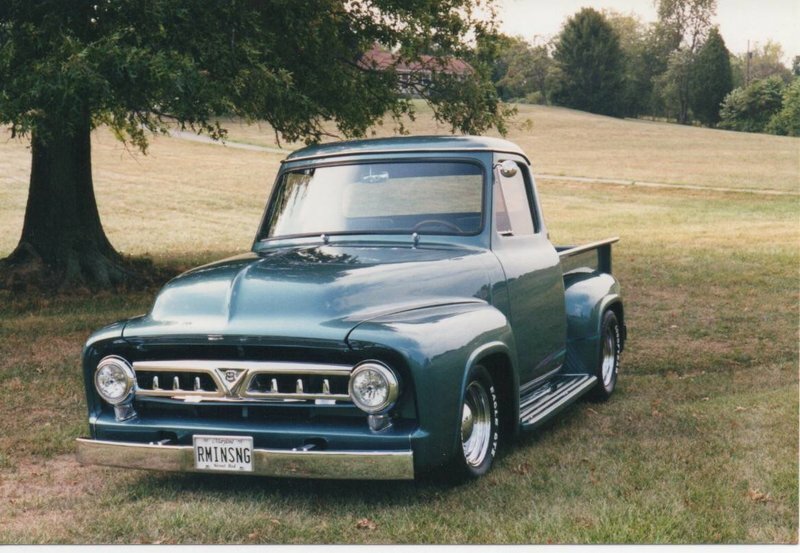 All this performance rides on 15" Goodyear Eagle GT II radial tires mounted on Chrome smoothie wheels with baby moon hubcaps. 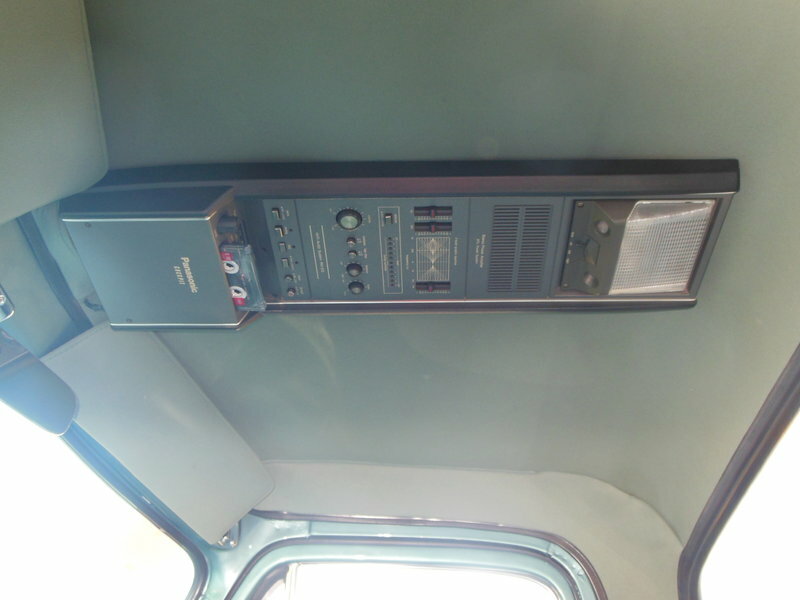 This top of the line vehicle is immaculate and spotless from top to under carriage which can be seen in the accompanying photographs and is currently offered at only $42,500.